TBILISI, DFWatch–Locals in a village close to the Black Sea shore claim that a group of soldiers late at night verbally and physically abused seven locals based on religious views. The locals say three military police department employees stopped Levan Meskhidze in the village of Tsikhisdziri. Some say he was threatened and searched by police. Meskhidze remembers that the soldiers asked him if he and his wife wore crosses, and then was threatened that if they weren’t Christians, they would be shot in the head. He stepped out of the car, which was searched. They released the couple after the wife showed them the cross. A bit later, other locals remember they hears the sound of three shots. “There were three soldiers from Zugdidi who were angry at people from Adjara, shouting that they were Tatar. Those who were Christians with crosses, they told nothing to, but they beat those who weren’t wearing crosses,” Vazha Kvesieshvili told journalists. 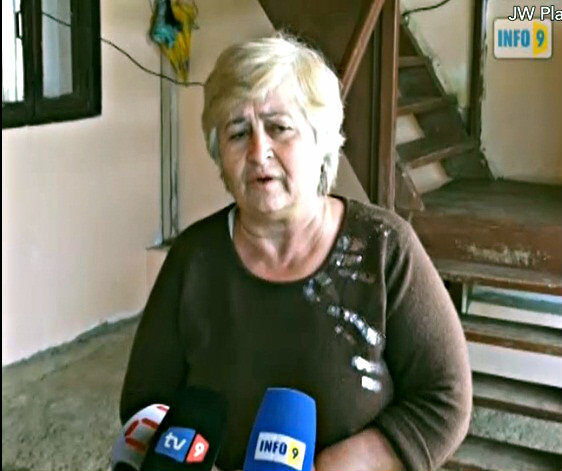 A mother of one of the victims remembers that the three soldiers came to her house together with her son. They drank, and afterwards they left all together. Amiran Dolidze, her son, was beaten after the soldiers discovered that he wasn’t wearing a cross. Seven persons were physically or verbally abused for the same reason that night, when locals called the police. The next day, the Defense Ministry fired the chairman of the local police department and three military employees. “All are equal to the law and those who wear a military uniform have to defend the law,” the ministry explained. The Administration of Muslims of Georgia issued a statement about the incident, expressing concern over what happened. The Administration of Muslims demands to conduct an objective investigation and punish the guilty. Levan Gzirishvili, prosecutor for the Adjara region, told journalists that a criminal investigation has been launched into the incident, based on abuse of powers. He said there has is no discussion yet about prosecuting anyone for religious discrimination. “I don’t want to say this was an assault for religious views, because those who they assaulted were Christians. But they were asking if those people wore crosses,” he said, adding that the soldiers were drunk and he cannot tell if they were aware of what they were doing.